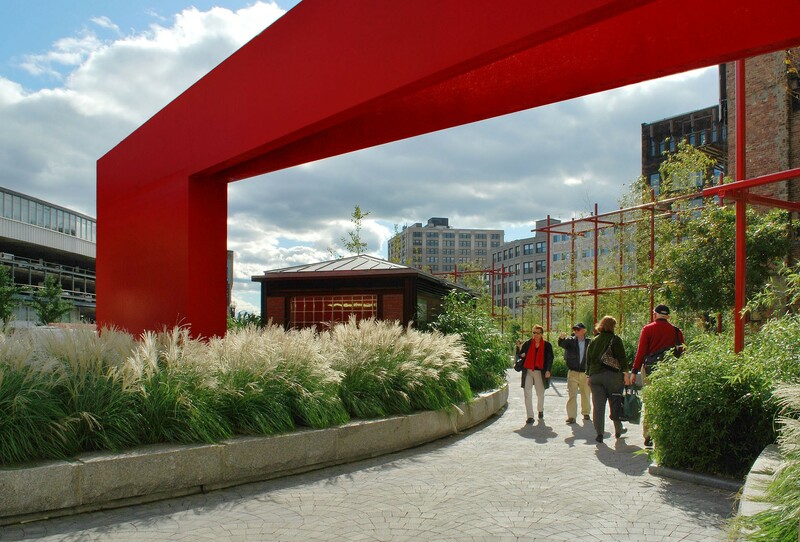 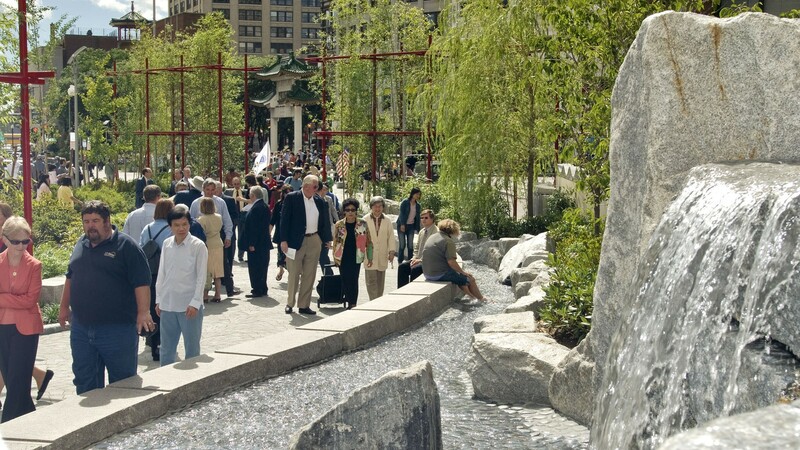 The opening of Chinatown Park, the first of the parks to be completed along Boston’s Rose Fitzgerald Kennedy Greenway, marked the culmination of a rigorous multi-year planning, design, and construction effort. 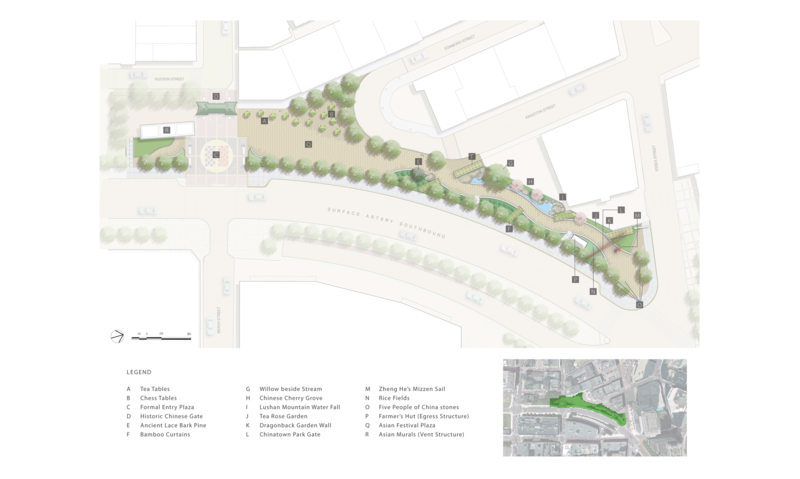 CRJA-IBI Group designed the park under the direction of the client/owner Massachusetts Turnpike Authority and with the active involvement of several community advisory groups and task forces. 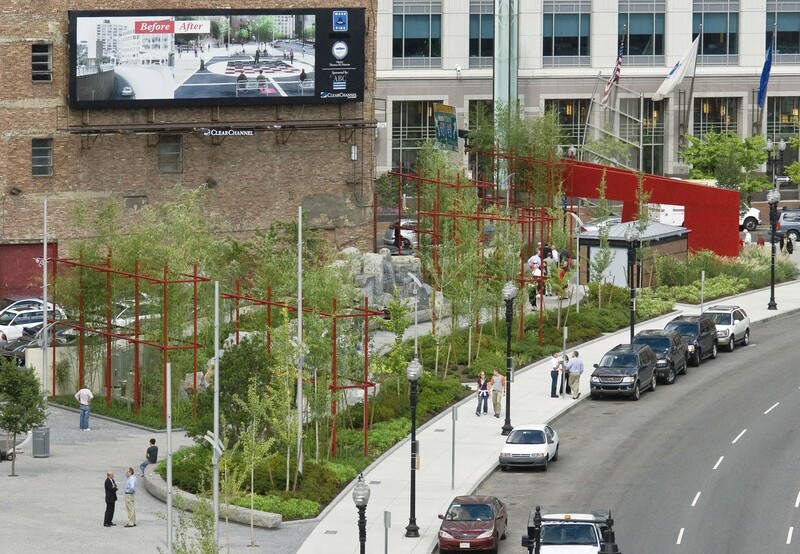 Located just outside the traditional Chinatown Gate at Beach Street that marks the entrance to Boston’s Chinatown neighborhood, Chinatown Park is built over the site of an abandoned off-ramp from the Central Artery Dewey Square tunnel and is approximately 3/4 of an acre size. 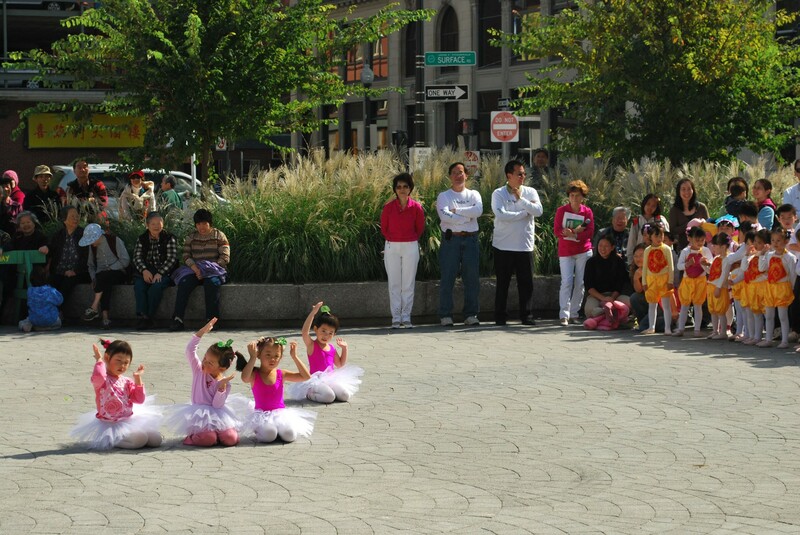 Being the largest open space within Chinatown, the southern portion of the park’s design responds to the vigorous social life of the Asian community by providing an open plaza as a framework for the many festivals, celebrations, and daily activities that up until now have had inadequate or inappropriate venues available. 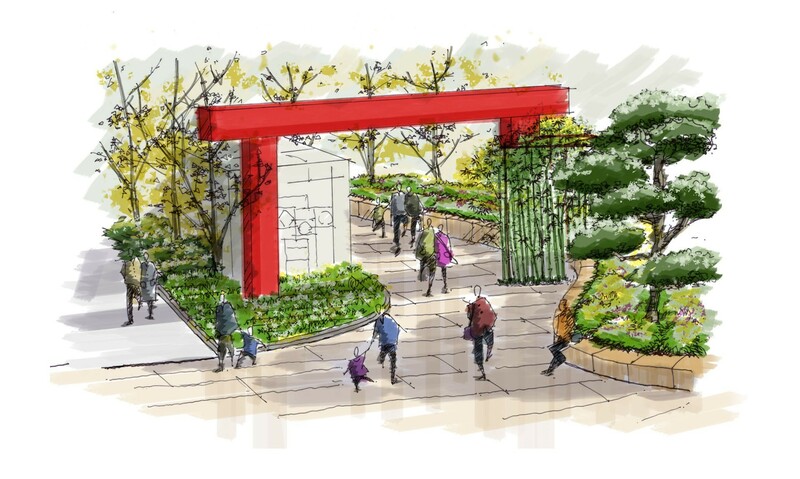 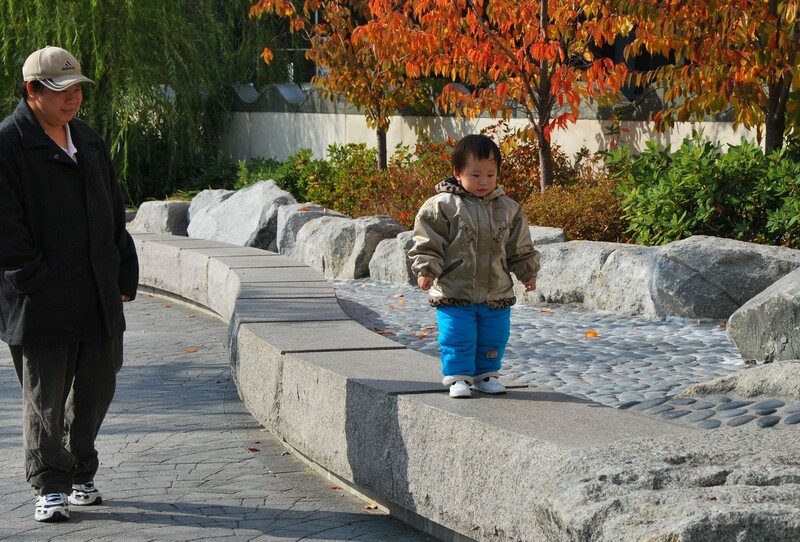 Balancing the paved plaza, the northern end of the park is a serpentine path through gardens richly planted with plants of Asian origin that provides a respite from the busy city streets. 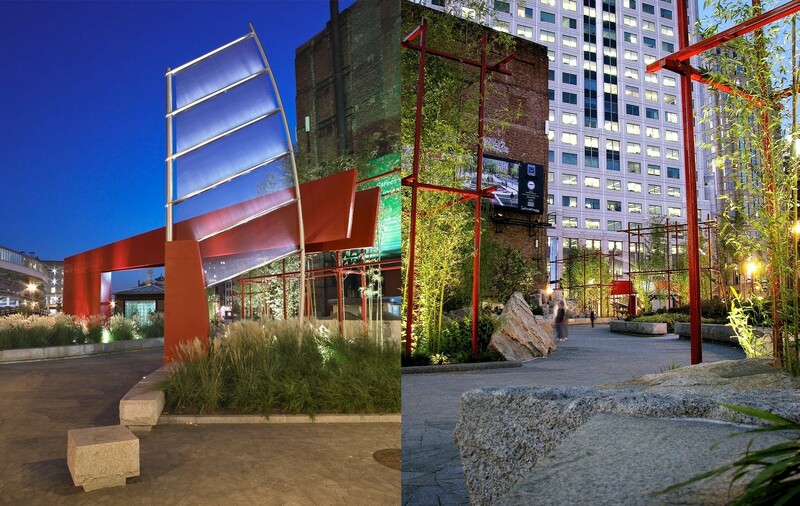 Expressing the park’s design theme of balancing memory and prophecy, the CRJA-IBI Group design interprets these traditional Chinese elements of the village festival space, contemplative gardens, gateways, walls, stone, and flowing water, in a contemporary fashion to create a space that is uniquely modern yet with strong references to the past: the contemporary red steel gateway serves as counterpoint to the traditional gate at Beach Street; the stylized sampan sail sculpture rendered in stainless steel, metal fabric, and LEDs in the evening becomes a soft beacon of light; uplit misted grasses recall traditional rice fields, and support frames for tall hardy bamboo plants are translated from traditional materials to sculptures of red steel.